New Delhi, Feb 12: At least 9 people were killed in the fire that broke out in Hotel Arpit Palace in Karol Bagh, Delhi earlier on Tuesday. Rescue operation still underway. Initial probe suggests short circuit to be the reason for the blaze. 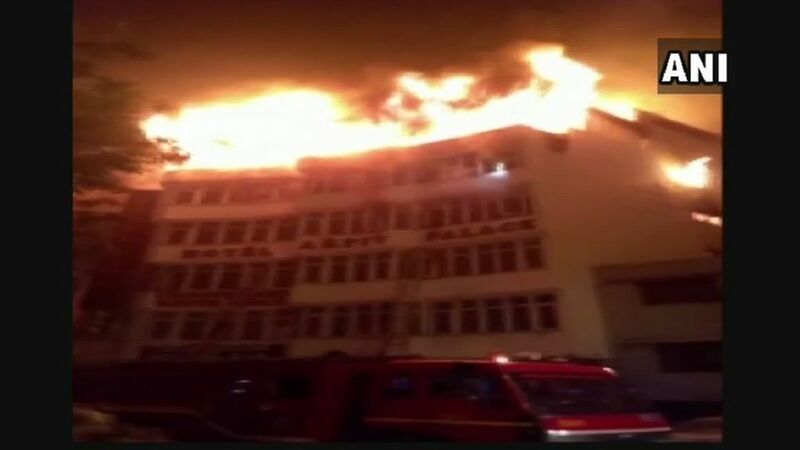 According to latest reports, 27 fire tenders have been pressed into action. TV reports say that several people tried to save their lives by jumping off from the fourth floor. News Nation has learnt that five people have been injured in the incident.